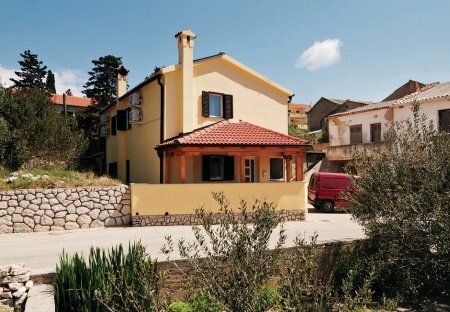 Rent villas and apartments in Kolan, Croatia. This lovely holiday apartment, ideal for a romantic couple, with a spacious terrace and a beautiful view of the landscape and the island, is located on the sunny island of Pag. This lovely and completely furnished holiday house is located on the island of Pag, with many beaches and a rich gastronomical offer. Taste the domestic Pag cheese and the delicious lamb meat. 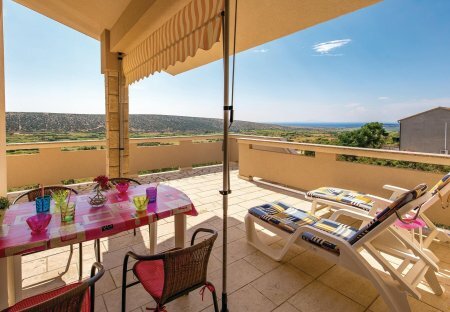 Spend your holidays in this beautiful and comfortable holiday apartment, with large covered terrace, which offers you a wonderful view of the sea and in the evening hours a charming sunset.